Taxi in Svyatogorsk - order ECO-taxi, phones and prices, inexpensive. Cafe-saloon "White Horse" offers the delivery of their dishes according to Svyatogorsk. - In hotel, recreation center. The fastest delivery, very tasty and profitable. - Delivery to the hotel room. Taxi from 5 to 7 places. Planting - 45 UAH. When landing more than 4 people - 70 UAH. At the wheel drivers are professionals with many years of experience. EkoTaxi in SVYATOGORSK is the first electric taxi in the Donetsk region! We are for preserving the environment, for our city it is especially important, since our region has always been considered a health center of Ukraine. 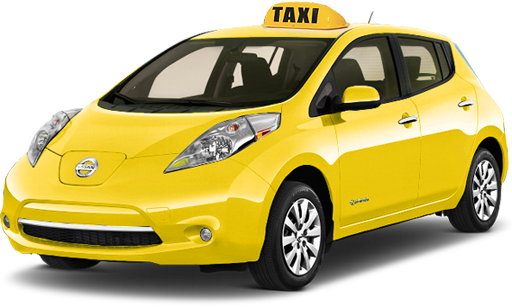 But in addition to environmental friendliness, we provide taxi services of the highest level and comfort. Order a taxi today and you will become our regular customers. In Svyatogorsk the project of city service of the order of an ecological taxi starts. The entire civilized world has been steadily transplanted to electric vehicles for several years. And this is not the headlines of newspapers, not the shares, but the methodical and conscious introduction of "green" technologies at the household level. And this is the case when, along with taking care of your own environment, you also work to take care of your own wallet. Because electric transport is not only a significant reduction in harmful emissions into the air we breathe, but also real savings in buying gasoline and lubricants, as well as eliminating the consequences of their use. For the first time in Svyatogorsk you can order eco-taxi and start a new, responsible and rational life according to the standards of civilized countries. In Svyatogorsk launched a fleet of vehicles, which is 100% composed of electric vehicles. The company's cars are equipped with a strengthened set of airbags, including side air-conditioners, a full electric package and multimedia monitors. You can order eco-taxi in Svyatogorsk online and by phone. There is a car rental service with a driver, the eco-transport service also deals with the delivery of pizza and other food to Svyatogorsk residents from the best restaurants in the city.